The team at Marshall Exteriors is excited to announce that out of the more than 2 million small businesses in New York State (with less than 50 employees), our business has been selected as the 2017 recipient of the Better Business Bureau "Torch Award for Ethics". "Never in my wildest dreams did I ever think that it would grow from the trunk of my car with 2 bloody thumbs and a hammer, to this" says owner Adam Olschewski. The BBB Torch Awards for Ethics seek to elevate and celebrate the commitment made by for-profit and nonprofit enterprises to the highest standards of leadership character and organizational ethics. The awards bring attention to the practices that these organizations employ to generate a high level of trust, among their employees, customers, and their communities. Marshall Exteriors gratefully accepts this award honoring the commitment we have made to our customers and our community. As a Marvin Authorized Replacement Contractor, the staff at Marshall Exteriors is factory trained and educated on the products of Marvin Windoors & Doors as well as Integrity by Marvin. Marshall Exteriors is the only Marvin Authorized Replacement Contractor in the Finger Lakes region. The Home Builders and Remodelers of Central New York is an association of professionals. Our members are your trusted team of industry leaders and community partners providing homes, education, and economic opportunity. The Greater Newark Chamber of Commerce is dedicated to the development of a healthy, happy, and prosperous community. CertainTeed is a leading and innovative North American manufacturer of building materials including roofing, trim, vinyl siding, railing, decking, insulation, and many others. Marshall Exteriors is a CertainTeed 5 Star Contractor, a CertainTeed Quality Master, a CertainTeed Window Master Craftsman, and has earned the CertainTeed & Wolverine Vinyl Siding Master Craftsman Test Certificate of Completion. 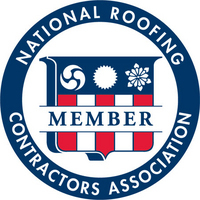 GAF has become North America's biggest manufacturer of residential and commercial roofing and are committed to supporting distributors and roofing contractors, as well as helping property owners make their best roofing choices. GAF ELK provides a wide variety of shingle styles and colors! 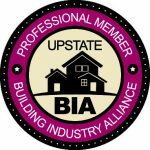 Upstate Building Industry Alliance connects homeowners with a professional that meets industry standards.